Mumbai, February 8, 2018 – 2030 WRG organized its first Workshop on Gender and Water in Agriculture in the State of Maharashtra to bring to the forefront some relevant work undertaken by key stakeholders promoting women’s participation in water resources management in the agricultural sector. 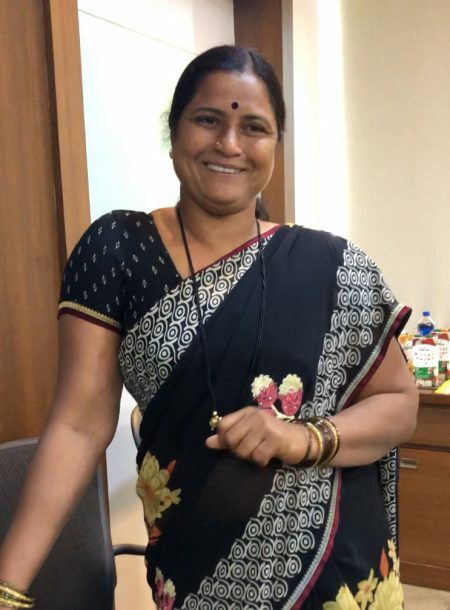 Ms. Archana, a successful farmer, leading an all-women Farmer Producer Company in Maharashtra with support of Swayam Shikshan Prayog. She was an active participant at the Workshop. • Enabling ecosystem changes i.e. providing a conducive environment for women to participate in the agricultural sector. The participants at the Workshop agreed on taking the gender and water agenda forward through a formalized process to be anchored by the Government of Maharashtra. The Workshop is a part of the Maharashtra Water Multi-Stakeholder Platform and cuts across two workstreams related to agriculture – Water and Livelihood Security in Rain-fed Agricultural Areas and Command Area Water Productivity.